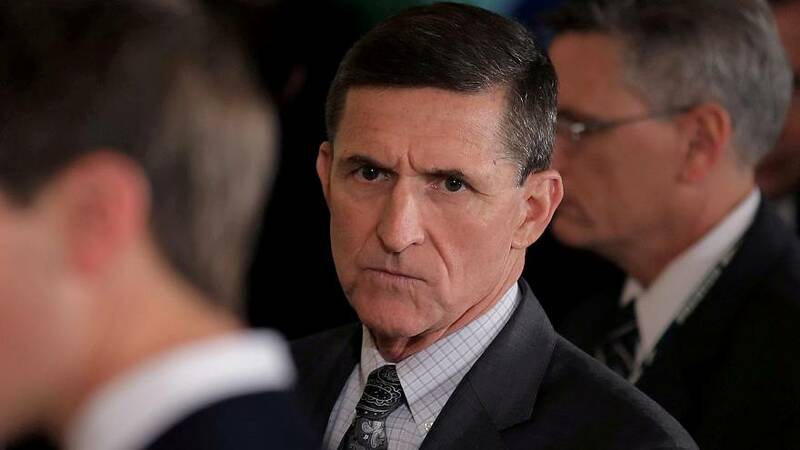 The lawyer for former U.S. national security adviser Michael Flynn has branded as “outrageous” and “false” media reports suggesting that his client may have been involved in an alleged plan to seize a Muslim cleric and deliver him to Turkey in exchange for millions of dollars. Fethullah Gulen, who lives in self-imposed exile in Pennsylvania, is accused by Turkey’s government of orchestrating last year’s failed coup there. Ankara wants him extradited. Gulen denies any involvement. NBC News and the Wall Street Journal say that US Special Counsel Robert Mueller is probing claims that Flynn met senior Turkish officials before President Trump’s January 2017 inauguration and was offered some 15 million dollars to get Gulen back to Turkey. Flynn is a key figure in Mueller’s investigation into alleged Russian interference in last year’s US election. President Recep Tayyip Erdogan has said he will pursue “to the end” Turkey’s demand for the extradition of Gulen, a former ally of the Turkish leader who is now seen as his arch-foe. “Out of respect for the process of the various investigations regarding the 2016 campaign, we have intentionally avoided responding to every rumour or allegation raised in the media,” Flynn’s lawyer Robert Kelner said in an emailed statement. The media reports said that the alleged plan involving Flynn and Turkish officials emerged during Mueller’s wider investigation. Flynn was fired by Trump after just 24 days in the job for misleading Vice President Mike Pence about the extent of his conversations with then Russian ambassador Sergei Kislyak last year.